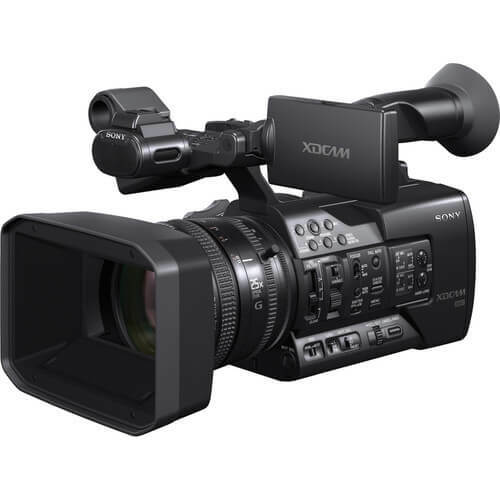 Offering 10-bit, 1080p, XAVC recording and a 25x zoom lens with 26mm wide-angle, the Sony PXW-X160 XDCAM Handheld Camcorder is ideal for a wide-range of applications, including professional broadcast, documentary, and live event work. The camcorder provides the same video recording quality and body design as the PXW-X180 but forgoes the network, GPS, and proxy recording features to deliver a more cost-effective option for shooters who don’t need these features. Its three 1/3″ Exmor CMOS sensors provide low noise, wide dynamic range, and support 1080p video at up to 60 fps using the XAVC Intra and XAVC Long GOP codecs. It also offers MPEG HD 422, MPEG HD 420, AVCHD, and DV codecs to fit into existing broadcast and production workflows. Other key features of the camcorder include a 0.5″ OLED viewfinder, dual SxS memory card slots, and an electronically controlled variable ND filter. 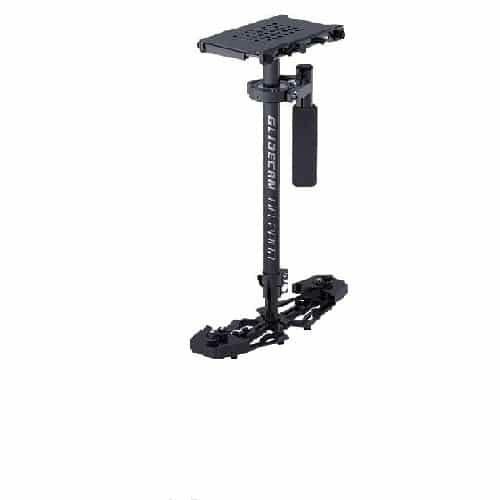 Additionally, it features a Multi-Interface Shoe that has an electronic interface that allows it to communicate and accept signals from optional accessories, such as the UWP-D11 or UWP-D12 wireless microphone receivers, without requiring an XLR cable or additional power source. Three 1/3″ Exmor CMOS sensors with a total of about 2.07 million effective pixels (16:9) independently capture red, blue, and green light. This, combined with the camcorder’s Full HD 1920×1080 resolution, high-sensitivity, and wide dynamic range, delivers vibrant images with accurate color rendition. Noise reduction and anti-shake is provided to assure high image quality in a variety on shooting conditions. 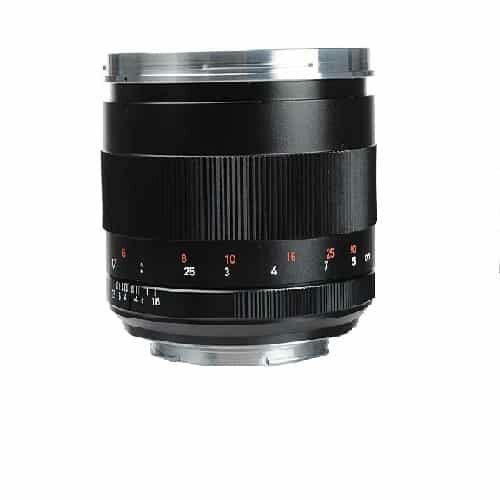 The Sony G lens has a 25x zoom range with a 35mm equivalent focal length range of 26mm to 650mm. 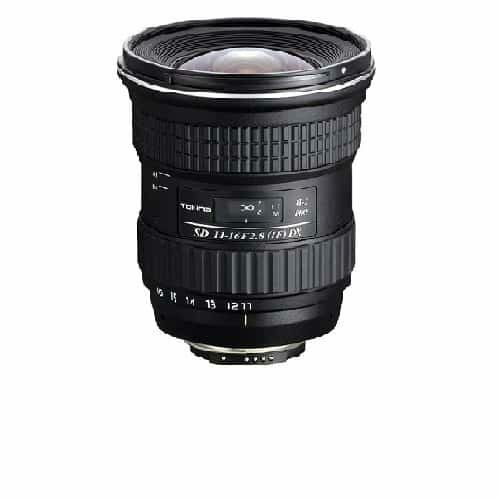 This makes the lens versatile enough to handle a wide range of shooting situations from wide-angle to telephoto. Independent manual, zoom, and focus rings with end-stop and iris control are provided, and a slide mechanism on the focus ring enables easy switching between auto and manual focusing. The focus indicator can be displayed even when focusing manually. XAVC technology is based on the efficient and high-quality H.264 standard. XAVC Intra using intra-frame compression, meaning that every frame is encoded independent of the other frames. This provides a better quality picture, but requires a higher bit-rate. With a Long GOP codec, only certain frames are encoded individually. This allows the codec to squeeze the video into a much smaller bitrate than Intra technology. XAVC Long GOP files require less storage space than XAVC Intra files. When recording in XAVC, it uses the MXF file format, efficiently compressing Full HD 1920×1080 resolution using the MPEG-4 AVC/H.264 codec. Image sampling is 4:2:2 10-bit with Intra-frame compression at 112 Mbps or high-efficiency Long-GOP compression at 50 Mbps, 35 Mbps, or 25 Mbps. In addition to XAVC Intra/Long GOP, the PXW-X160 records in MPEG HD 422 at 50 Mbps, MPEG HD 420 at 35 Mbps, AVCHD, and DV. The PXW-X160 features two SxS memory card slots offering high read and write speeds. Optional adapters are available which allow recording to your existing XQD or SD memory cards. Simultaneous recording onto two memory cards is possible (in the same recording mode only). With two record buttons, the operator can choose which card to record to, letting you use one card for recording while the other card serves as a backup. Continuous relay recording is also possible from the card in the A slot to the card in the B slot. Note: In AVCHD recording mode, simultaneous recording and relay recording between the two memory cards are not possible. 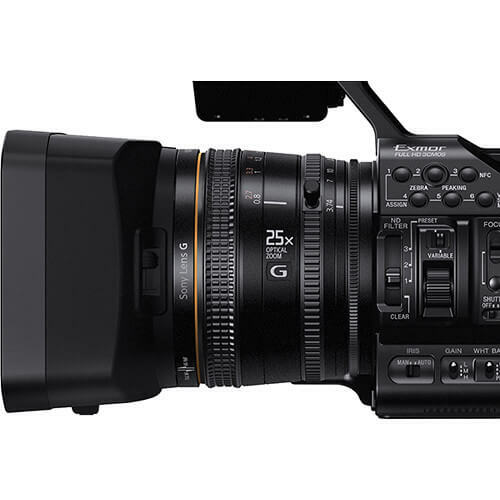 The PXW-X160 is Sony’s first professional camcorder to feature a variable ND filter. The new filter device has been developed to electronically control density and enable continuous setting adjustment from 1/4 to 1/128 ND using a simple dial. The variable ND filter lets you shoot with large apertures and/or slower shutter speeds when outside in daylight or in other bright environments. 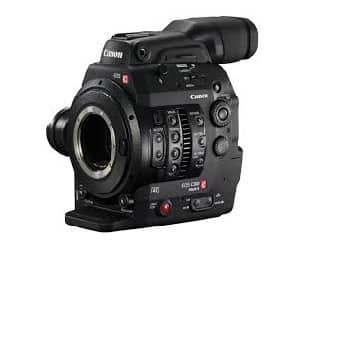 The camcorder offers a variety of connections to suit the broadcast workflow, including 3G HD-SDI, HDMI, USB, composite output, timecode input/output, and genlock input. The 3G-SDI connector is able to output the 1080/59.94p or 50p signal. Down-conversion output from HD to SD is also possible. Simultaneous output from both SDI and HDMI is possible. The Rec Trigger signal can be sent through SDI and HDMI to link an external recording device. Accessories taking their power from the Multi-Interface Shoe can be switched on and off from the camcorder. Also, if an optional UWP-D11 or UWP-D12 wireless microphone receiver is connected, power supply and cable-free audio signal input is possible, minimizing the need for extra batteries and removing the need for additional cabling. This 0.5-inch type OLED viewfinder features a 1024 x 768 resolution and displays images with deep blacks, accurate colors, and a high native contrast ratio. The high resolution of the viewfinder allows better precision of manual focus operations. The 3.5″ type UHD resolution LCD panel provides easy viewing in a wide range of lightning conditions.